Minimalist arrangements and smoky vocals convey the raw and deep emotion of jazz standards from around the world. 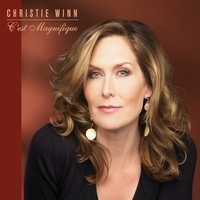 Christie Winn's voice wraps itself around you like bear hug and carries you along for the ride on 'C'est Magnifique'. A pure professional as a vocalist, Winn is on every moment of the album, selling each song as if she's lived it, and knocking out each note with a level of technical proficiency and artistic grace that is a cut above the pack. Winn's interpretations are generally right on the mark, elevating song craft at times to the sublime. 'C'est Magnifique' truly is.